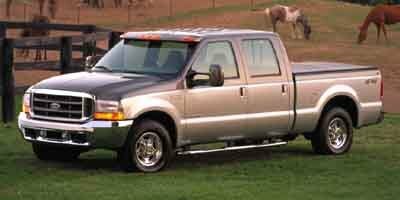 Description Contact Matt Bowers Chevrolet today for information on dozens of vehicles like this 2002 Ford Super Duty F-250 XL. CARFAX BuyBack Guarantee is reassurance that any major issues with this vehicle will show on CARFAX report. The look is unmistakably Ford, the smooth contours and cutting-edge technology of this Ford Super Duty F-250 XL will definitely turn heads. You can finally stop searching... You've found the one you've been looking for. Just what you've been looking for. With quality in mind, this vehicle is the perfect addition to take home. Lifetime warranty is a limited Powertrain Warranty. Owner must follow manufacturers recommended maintenance on new vehicles as per owners manual. Covers select pre-owned vehicles five calendar years old or newer, with 80,000 miles or less. Other restrictions apply. See dealer for warranty details.